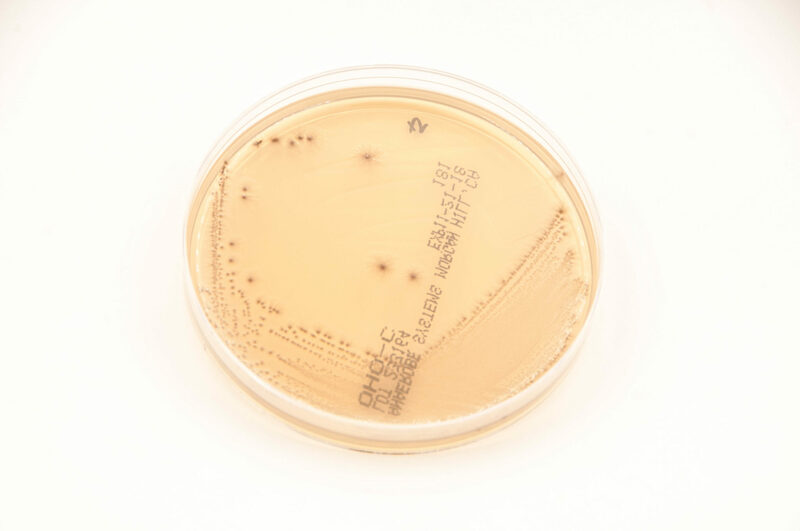 Oral H2S Organisms Agar with Lead Acetate (OHO-C) is intended for the identification of volatile sulfur compound, primarily hydrogen sulfide, producing bacteria found in clinical specimens. 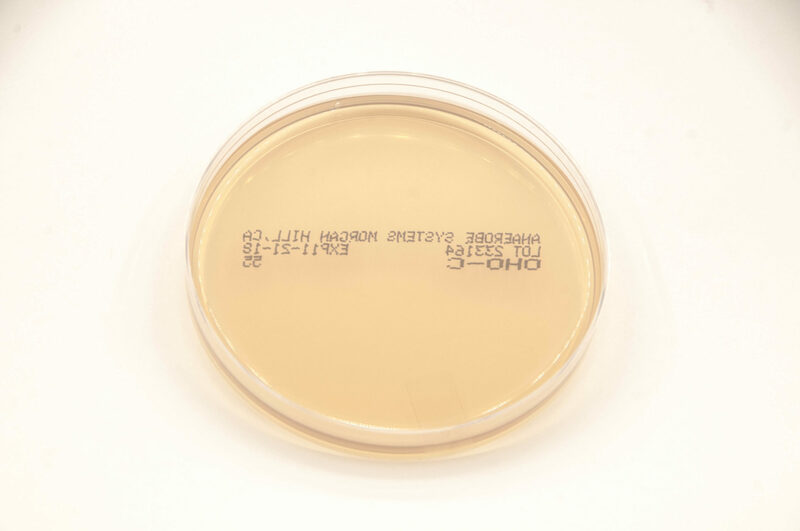 OHO-C agar is an enriched differential medium used for the detection of hydrogen sulfide producing bacteria from clinical specimens. 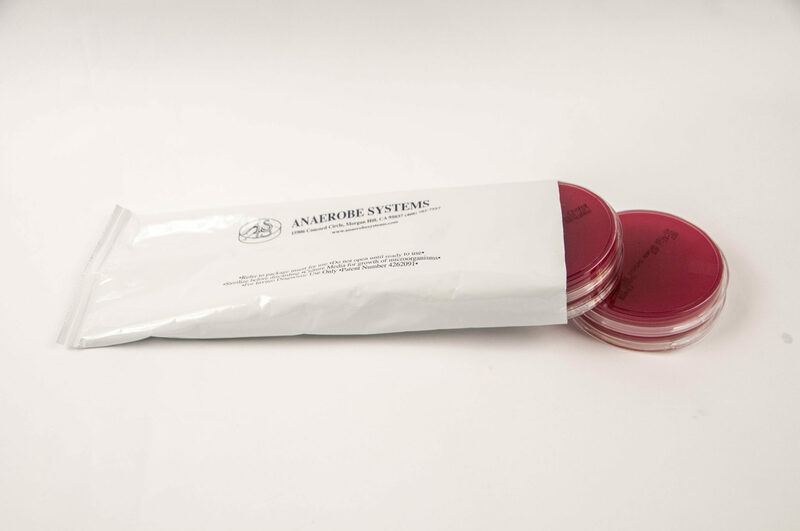 The nutritive base, Columbia agar, is supplemented with glutathione and lead acetate. Glutathione is added as a substrate for hydrogen sulfide production by the organism. Lead acetate reacts with hydrogen sulfide to produce a black lead sulfide precipitate, that develops within the colonies or on the agar surrounding them. This medium is prepared, stored, and dispensed under oxygen-free conditions to prevent the formation of oxidized products prior to use. If used properly, OHO-C will support good growth and hydrogen sulfide detection of oral anaerobic bacteria from clinical specimens. Black to grey halos surrounding the colonies, or black color in the center of colonies, usually signifies hydrogen sulfide production. OHO-C will not provide complete information for identification of bacterial isolates. Additional test procedures and media are required for complete identification. It is recommended that a non-selective media, such as Brucella Blood Agar (BRU, catalog #: AS-111) also be inoculated from the same clinical specimen to assure recovery of all species present. Consult reference materials for additional information. *H2S production may require extended periods of incubation.